Have You Ever Had a Dream So Strange That You Woke Up in the Middle of the Night? Have You Been Looking for Answers to Puzzling Dreams That Often Visit Your Sleep? Attention: Do not read the following report if you don't want to learn how your dreams are helping you over-come challenges and grow as a person. Have you ever had a dream that kept you wondering what it meant for days? Have you ever awoken in the middle of the night because of a dream that seemed to be communicating directly with you - But you didn’t know how to receive the message or understand the language of the dream? Welcome to my website and today, I’m going to tell you how dream interpretation is the closest you are going to get to communicating with your spiritual self. Our souls communicate with us through dreams – to help us grow and overcome challenges. How does the soul or spirit communicate with us? While it’s true that dreams are all around us, few people know how to understand the language of dreams. We can look at our dreams as doorways, doorways that lead to our higher level of being. It doesn’t matter what we call it – but it’s there. Some call it the spirit, some call the Universe and still some call it the Overself. But whatever you may call it, it’s there, and it’s trying to speak to you. If dreams are doorways, dream interpretation is the key to unlock the secrets of dreams. Dream interpretation is the process of remembering and recording your own dreams and analyzing the symbols, emotions and images in those dreams. Dream interpretation is a highly individualized process because dreams are unique to each person. No dream dictionary in the world can tell you what your dreams mean – that is set in stone. Because dreams are special, they belong only to us and their significance is communicated directly by our higher selves. As such, we cannot be completely dependent on dream dictionaries – because that is not how dream interpretation works. Dream interpretation helps us understand ourselves better, lessening our daily worries and anxieties. And the average person has 150,000 dreams in a lifetime! Dream interpretation is a potent tool that allows us to understand a part of ourselves that has the clearest sight of the present (and maybe, even the future). Discover the A - Z of Dream interpretation in Just 30 Minutes Per Day! No one likes padding – that’s why I focused only on the most important lessons on dream interpretation in the world when I created my Dream Interpretation audio course. No other course on the market has a more comprehensive perspective on dream interpretation. It is compressed in an easy to understand form that you can listen to at home, in your car while driving to work or when you’re simply relaxing at the beach (which is recommended, I’ll tell you why later in the course). I first studied dream interpretation when I was finishing my Bachelor’s Degree in Psychology. It was a dynamic and fun learning journey for me, because I had the fortune of working with the best mentors in the field. WHO IS Dr. Steve G? - contains a short introduction about who I am and what I do as a professional hypnotherapist. THE MANY DIMENSIONS - discussion on the different levels of consciousness and being and where dreams are situated in the grand scheme of things. Dreams are not just figments of our imagination – because dreams are capable of providing us inspiration and guidance for overcoming life’s challenges. KARMA AND REINCARNATION - dreams also remind us that we are spiritual beings. Dreams bring us close to our spiritual center that part of ourselves that is really aware of what is really happening to our lives. In this part of the module, you will learn how karma and the challenges of life help us grow stronger as individuals. Challenges are not there to punish us, but rather, to provide opportunities for growth. THE IMPORTANCE OF SELF LOVE - self-love stems from the Overself that loves us so much that it wants us to learn and grow. THE LANGUAGE OF DREAMS - learn about the most common symbols in dreams and how you can apply interpretation to these symbols to discover their significance in your own life. TAPPING INTO YOUR SOURCE OF ENERGY - dreams are reliant on the energy that you give to it; the more energy available to dreams, the more focused and vivid the dreams become. Learn how you can devote more energy to your dreams through easy to implement and pleasant changes to your daily life. DISCOVER THE ANATOMY OF A DREAM - dreams have different components; learn about how these components come together and how you can effectively interpret the individual parts of a dream. LEARN HOW TO REMEMBER DREAMS - the biggest challenge with dream interpretation is actually remembering the dream enough so you can apply a ‘lens’ or an interpretation technique to it. This part of the module shows you how you can remember and record your dreams for later analysis. USE DREAMS TO SOLVE PROBLEMS - dreams are doorways to important life lessons. If your higher being is communicating with you, you must seek to understand what it is trying to communicate with you and apply those lessons in life. Your growth as a person depends on how well you communicate with your higher self and how clear you understand what is being communicated. DISCOVER THE MANY SYMBOLS OF DREAMS - learn how dreams convey messages or lessons through a special language composed of sound, color, images and symbols. This part of dream interpretation is vital, because it holds the key to unlocking what a dream can actually mean to you, as the one who dreams. Dreams are not puzzles; they shouldn’t be received that way. LEARN ABOUT COMMON TYPES OF DREAMS - visionary dreams, common dreams… people experience many kinds of dreams throughout their life. Learn about which dreams you should be paying attention to, and which dreams are merely recollections of your day’s events and should not be analyzed or interpreted anymore because they hold little or no significance. DISCOVER LEVELS OF INTERPRETATION - dreams can be understood in a variety of ways and degrees; this part of the module teaches you how to approach dreams and interpret them in such a way that insight about yourself and your thinking is revealed. LEARN HOW TO READ DREAM IMAGES - dream images are a significant part of dreams and you should remain focused on them if you want to carry out an effective interpretation. LEARN WHAT YOUR DREAMS SAY ABOUT YOU - dreams are mirrors to a person’s actual state; it is capable of reminding us of things we may have already forgotten about ourselves. Our higher being never forgets, and is always there to extend guidance to our waking moments so that we may correct mistakes and grow even more as an individual. RAISING AWARENESS OF YOUR SELF IN RELATION TO DREAMS - learn how dreams connect us to God and our higher being; this part of the module will show you how you own that link to your higher being. It’s yours, it has always been yours. Now is the time to take full advantage of this connection to our multidimensional aspect of our existence. This doorway or connection that dreams afford us also offer self-knowledge – the most precious and valuable kind of knowledge in the world. GAINING CONTROL OF YOUR DREAMS - dreams transpire in our mind – which gives us more control of what can be done in dreams, more than what power we can exercise in real life. This module also teaches you how you can explore what dreams have to offer by practicing some level of control over dreams, when they occur. DISCOVER DREAM ENLIGHTENMENT - this part of the module is an invitation to shift from passive dreaming to active dreaming – because dreams have the power to change the way we think and act. Dreams can help us resolve problems in real life. If you want to achieve dream enlightenment, you have to start applying what you learned in this module about dreams in real life. A better life awaits you when you are able to finally connect on such a clear and high level with your higher self. MAKING LIFE EASY ON YOURSELF - learn how dream interpretation can be used to lead a better life, free from common worries and anxieties. REVIEW OF SOME DREAM SYMBOLS - discover even more dream symbols and their possible signification. 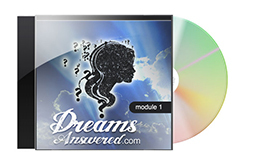 The Special Edition Platinum Hypnosis Recording was designed to complement the Dreams Answered audio course. 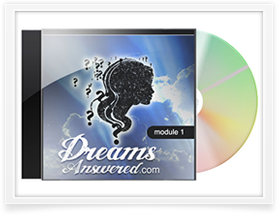 Regularly sold for $79.95, it now comes free for a very limited time with Dr. Steve G’ Dreams Answered audio course. Steve, I want the Dreams Answered audio course and the special bonus, but how much is this going to cost me? I’m not going to hide the fact that other products in the market are more expensive than the treasure box I’m offering right now. Sure, you can just attend live seminars or buy books covering the topics in Dreams Answered (which includes dream interpretation, karma, reincarnation, etc). But how much will you be spending for live seminars and books? Yes Steve, I want my Dreams Answered audio course and bonus audio now! Your purchase of the products is governed by the terms and conditions contained in the End User License Agreement ('EULA'). Please read this EULA carefully before completing your purchase. By completing your purchase, you agree that you have read the EULA and agree to be bound by its terms. If you do not agree to the terms of the EULA DO NOT complete your purchase.